I think you should probably ignore all the links here that encourage you to go somewhere else and 'do something' for the day! My advice is to have a holiday here, you've probably travelled some distance to get here and there is no real need to chase around anymore. . . . Get comfy, get relaxed and enjoy Looe. Smugglers Cott Restaurant 01503 262397 good idea to book on your first night - you can step out of their front door ... into your front door! Great reviews. Always busy, do book. Papa Nino's classic Italian 01503 264231 again always busy - right next door the Smugglers Cott. The Ship Inn - Good place to eat with your children and big screen for football. More than 'pub grub' Along with The Bullers you'll find the best pint of Tribute in town. 20 seconds away at the end of your alley is The Bullers Arms a legendary place to drink. Gets rammed for live music. Noisy and 'drinky' real pub! 15 seconds through the alley is The Fishermans Arms - famous local pub - under new ownership. Pasties: "hand-made by Cornish maids!" Tip from my Uncle in Cubert : "make sure ee get un wi' a good left-hand crimp boy - they'm some 'andsome ... yeess! " Best Pasty in town ? For me ... Martins Diary. Also The Plough at Duloe has very good food. The Looe Maritime Archive - pictures, sounds, videos. Looe Directory good local site. Lanhydrock House - what a great place this is to visit. Eden Project - got to be done, my kids loved it. 'Taste South East Cornwall' Celebrating Food and Drink. The Cornish Times Online Looe edition of the local paper. Newquay AFC into the Premier this season. My father and my grandfather both played here. Bodmin & Wenford Railway everyone has a weakness. 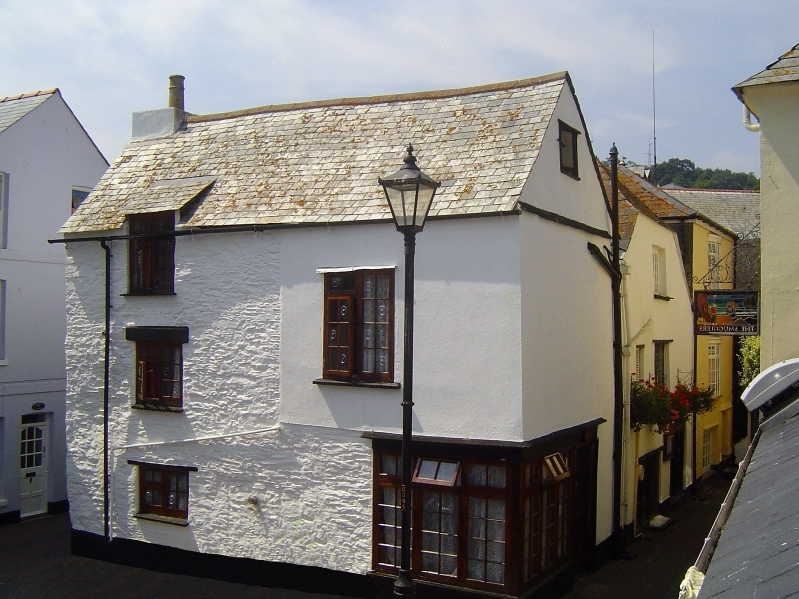 Looe's own website - just about all you need to know. The Minnack Theatre ... An extra-ordinary place and one of the wonders of Conwall - don't miss.